ELSIPOGTOG, N.B. – The Elsipogtog First Nation is honoured that one of its most respected members – Elder Joe John Sanipass – has received the prestigious 2017 Pioneer Award from the Tourism Industry Association of New Brunswick (TIANB). The presentation took place at TIANB’s Annual Tourism Summit in Fredericton on May 24. 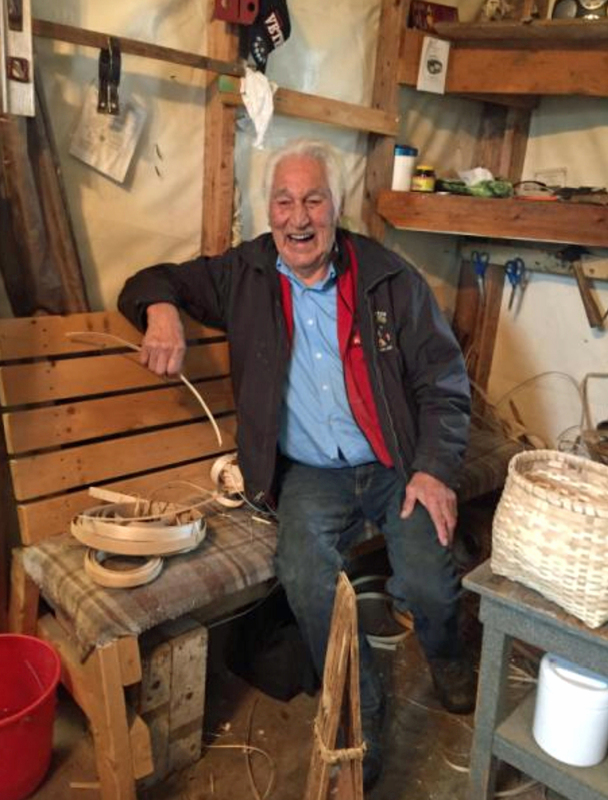 Joe John Sanipass, 80, is an elder and artisan who has been making baskets for 70 years. He also holds numerous workshops where participants learn the basic techniques of the art. He has his own sweat lodge and hosts those who are striving for greater meaning in life through this very spiritual tradition. The TIANB Pioneer Award is given to those who have demonstrated their commitment and outstanding contribution to the promotion of tourism and the province of New Brunswick. In addition to his work as an artisan, Elder Joe John Sanipass also uses his wisdom to counsel and mentor others who may have fallen on hard times. He works uses his life knowledge and experience to help provide guidance to those needing a helping hand and elder support. As well, he conducts traditional ceremonies and has been privileged provide to personal and spiritual marriage ceremonies for those have requested his knowledge and wisdom for such important traditions. ← The May 22 to June 4, 2017, edition of Brian Cormier’s Weekly Update is out!